Nature has a way of telling you what’s up. You just have to listen. You don’t have to be huckin’ fatties and droppin’ into Gnarville to find yourself in avalanche terrain. 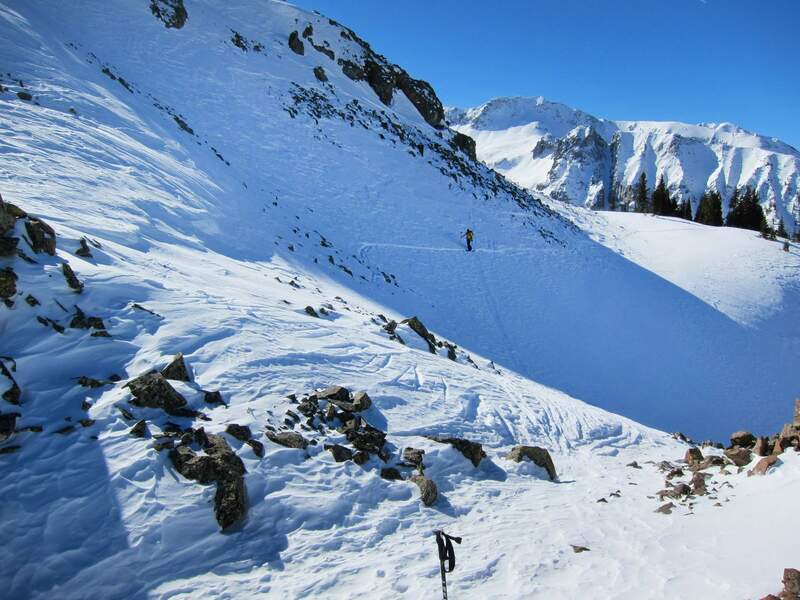 In the western U.S., and anywhere where mountains are steep and get enough snow, there are avalanches. Avalanches have hit cross country skiers, snowshoers, and once in North Dakota one killed a man who was shoveling off a roof. Even without being reckless, you just have to be in the right place at the right time – or the wrong one. 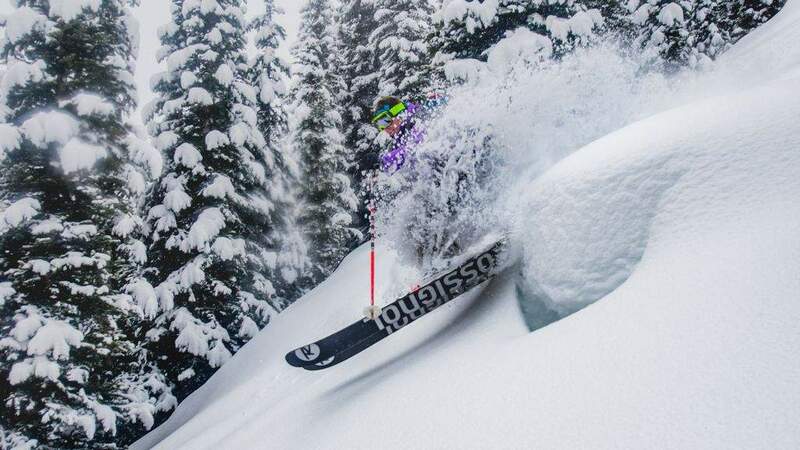 Nature has a way of telling you you’re in avalanche terrain. Avalanches happen on slopes between about 30 and 45 degrees, so not only do you want to stay off steep terrain, you want to stay out from under it. Avalanches have been running a lot longer than we have. Notice those giant swaths of clear-cut on mountainsides? Those are avalanche chutes. 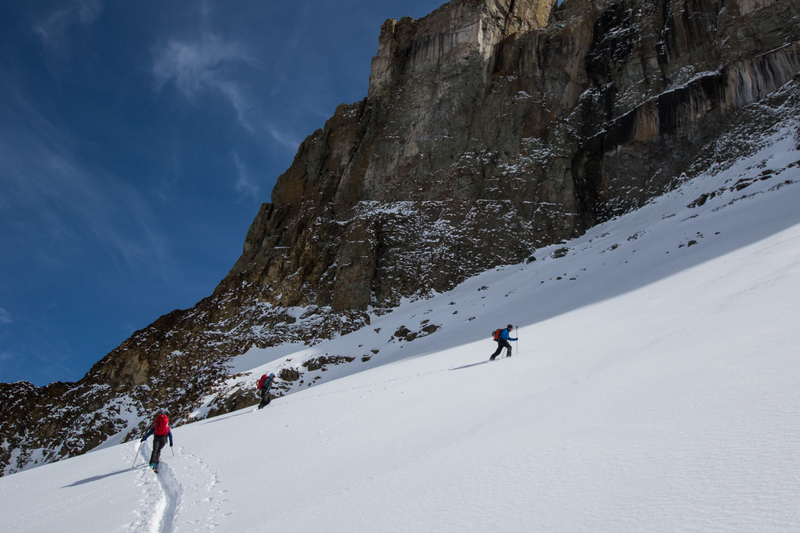 Look above them and you’ll find massive combinations of basins, bowls or cornices of unimaginable amounts of snow. When they go, they go big. It’s that force and power over millennia that create the avalanche chute. 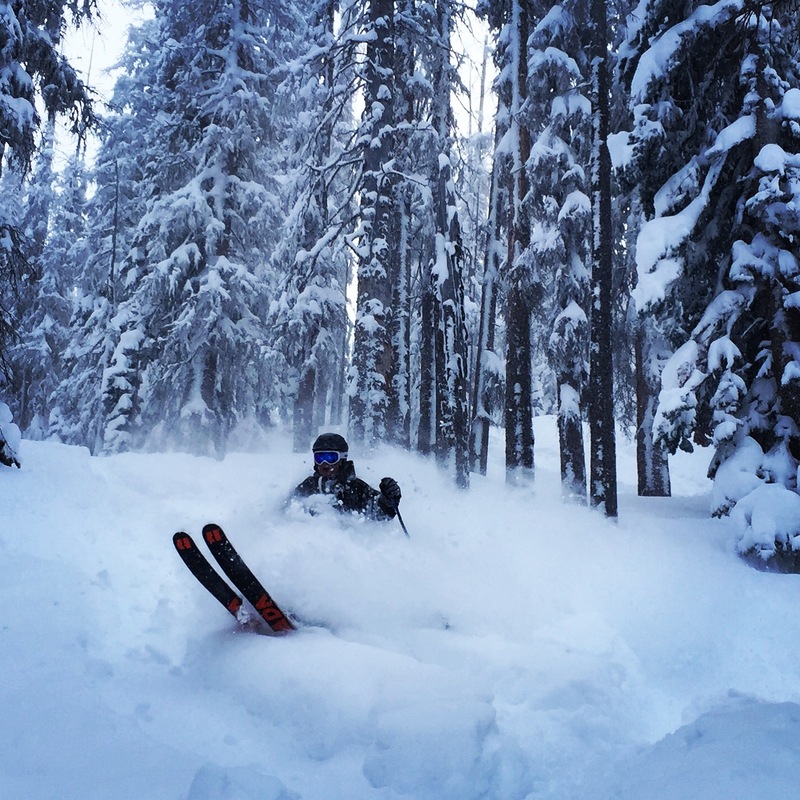 Think you may have wandered into avalanche terrain? Scan for evidence of previous avalanches. Take a look at the trees. Trees that see a lot of action will have branches broken off in the uphill facing direction. This is known as flagging. If you suddenly notice you’re on a sloping area of young trees and new growth, that’s often a sign of avalanche activity. They keep running over the course of time and those young trees never get to grow up. Get back into the woods and to lower-angled terrain. When the sun is out, our mood is lifted (See page …) and we might feel like everything is OK. 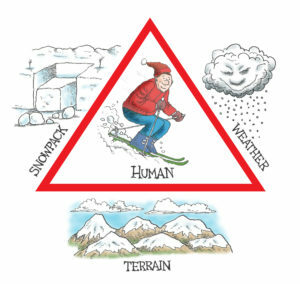 But in winter’s chilly mountains, sunny days and rapid warming can create instability in the snowpack or the layers of snow that stack up over the season. Scared yet? Good. You should be. 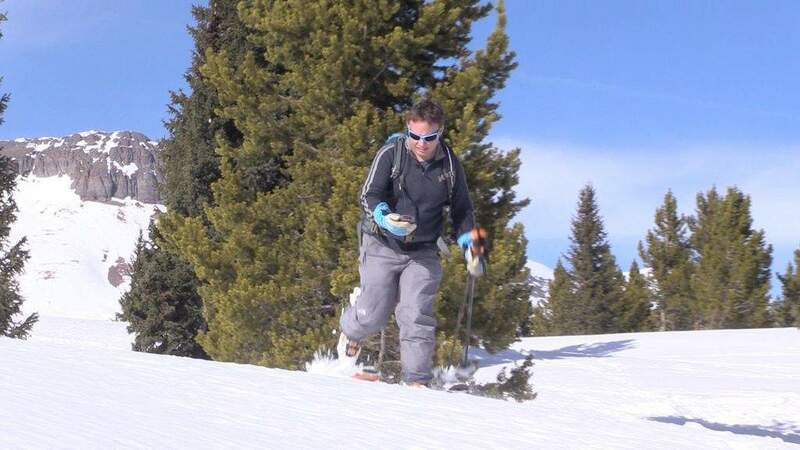 Every year there are avalanche deaths that could have been avoided. In most cases, it was a human error in judgment. 1. The most dangerous avalanches are called slab avalanches, where cohesive layers of snow form massive sheets, or slabs, that can break free from less-cohesive snow underneath. This interface is known as the weak layer. The slab can then travel as one giant formation of snow until it shatters like a glass plate on its way down the slope. 2. 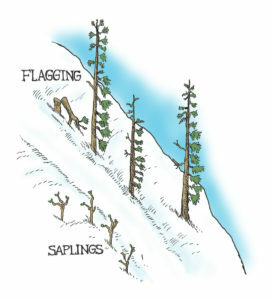 Avalanches can propagate from remote distances, meaning they can be triggered from below, or even off-slope. 3. After the slab settles, it sets up like a fresh batch of concrete and melts back into place. This is part of what makes avalanches so dangerous. A trigger. Most of the time that trigger is us. With safety in mind, it’s easy to enjoy a winter’s day all you want. Your best defense is knowledge.